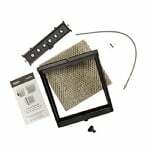 Aprilaire Space-Gard filters, air cleaner replacements, humidifier water panel and upgrade kits. Aprilaire entered the indoor air quality industry in 1938. Less than two decades later, they produced the first marketed, whole-home, evaporative humidifier in the United States. 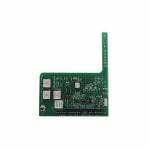 Since that time, they have expanded their product line to include not only humidifiers, but also air cleaners, dehumidifiers, thermostats, ventilation and zone control systems. The company�s focus has always been to design, create and manufacture top level products to help improve indoor air quality. Commitment to discovering new, innovative ways to establish healthy indoor environments, whether in homes or businesses has contributed to Aprilaire remaining a leader in the HVAC industry. When it is time to replace the filters on your Aprilaire products, such as humidifiers and air cleaners, make sure you choose genuine Aprilaire replacement filters and parts. 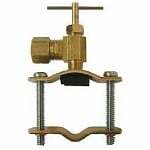 The Aprilaire 4187 Humidifier Drain Spud attaches to the humidifier's base. The drain spud provides a connection for the 1/2" drain hose. 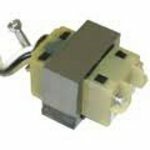 The Aprilaire 400 Series Humidifier Maintenance Kit is for use with Aprilaire 400 Series humidifiers including the Aprilaire 400 Humidifier, Aprilaire 400A Humidifier, Aprilaire 400M Humidifier, and other compatible Aprilaire 400 humidifier models. 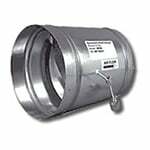 The Aprilaire 4655 is the correct replacement for selected Aprilaire humidifiers. 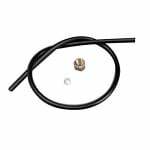 The Aprilaire 350 / Aprilaire 360 Humidifier Maintenance Kit is a set of humidifier replacement parts for use with the Aprilaire 350 humidifier and Aprilaire 360 humidifier. 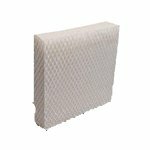 The American Standard BAYPAD01A1010A Paper Water Panel Filter features honeycomb filtration to trap mineral pollutants found in water and help prevent them from entering your home. 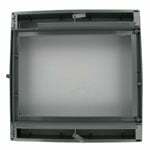 The Carrier P110-1045 Paper Water Panel Filter measures 9-1/2" x 9-3/4" x 1-1/2" (approx. 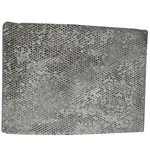 ), and is the correct replacement filter for many humidifiers made by AprilAire, Bryant, Carrier, Chippewa, Hamilton, Honeywell, Lasko, Lennox and Totaline. 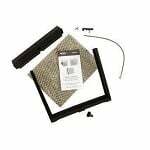 The Trane BAYPAD01A1010A Paper Water Panel Filter features honeycomb filtration to trap mineral pollutants found in water and help prevent them from entering your home. 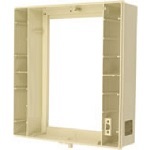 The Aprilaire 700 Series Humidifier Cabinet Base is also known as Aprilaire 4245. Special Order. Ships in 19 days. 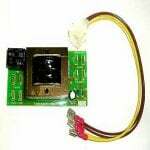 The Aprilaire 4010 is the correct replacement for the following humidifiers:Aprilaire 400, 550, 550A, 558, 560, 560A, 568 and 600 Humidifier; Honeywell HE220, HE225, HE260 and HE265 Humidifier. 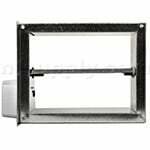 Aprilaire 6732 Rectangular Duct Damper - 10" x 10"
The Carrier P110-0007 paper water panel filter measures 9-7/16" x 10-1/16" x 1-5/8" (approx. 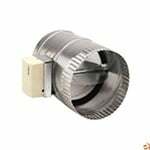 ), and is the correct filter for many humidifiers models by BDP, AprilAire, Bryant, Lennox, Autoflo, Healthy Climate, Hamilton, Carrier, Lasko and Totaline. 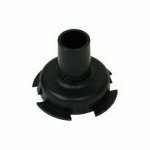 The Aprilaire 4247 Humidifier Fan Blade is a genuine replacement for your Aprilaire whole house humidifier system. 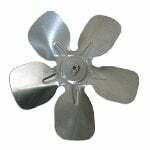 This humidifier fan blade keeps your Aprilaire 700 series humidifier system working at its best. 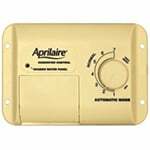 The Aprilaire 4258 Humidifier Control Relay is used to turn on the fan motor or pump motor of your Aprilaire whole house humidifier. 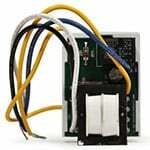 This humidifier relay kit works with your select commercial and residential model of humidifier. 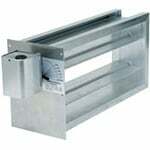 Aprilaire 6725 - Rectangular Damper 8" x 16"